Russett Farm is an 82-unit single family home community on 55 acres in Shrewsbury, PA. CRP acquired the land in August 2009 from GMAC. 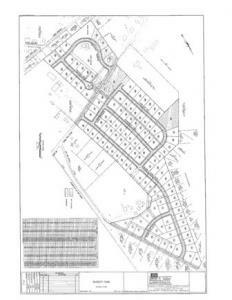 The previous builder, Lennar Homes, defaulted on their lot purchase agreement after building 37 homes in Russett Farm. Ryan Homes has been selling briskly at a pace of 4-5 homes per month. The Russett Farm community is located in Shrewsbury Township, York County, PA, just a few minutes north of the Maryland line. The area is a “bedroom” community for Hunt Valley and Towson in Baltimore County, Maryland, as well as York, Pennsylvania. Shrewsbury is characterized by its small town nature and yet boasts regional shopping centers – one developed by CRP and anchored by a Super Wal*Mart and another with a Giant supermarket. Schools are located nearby in modern facilities constructed in the 1990’s. Russett Farm has easy access to I-83 to the north or south (2 miles). Recently a commuter bus service has begun operation to the Hunt Valley Light Rail terminus.